Two edge of Cu(In1-xGax)Se2 (CIGS) thin film semiconductors for x=0 (CuInSe2) and x=1 (CuGaSe2) have been produced onto the soda lime glass substrates at 250 oC by sputtering from Cu, InSe and GaSe targets. The effects of In and Ga ratio and the post-annealing at 350 oC and 400 oC on the properties of CuInSe2 (CIS) and CuGaSe2 (CGS) thin film samples have been investigated. The structural properties of the deposited films have been examined by using X-ray diffraction (XRD) and the compositions of samples were analyzed by performing energy dispersive X-ray diffraction analysis (EDXA) techniques. Raman spectra of thin film samples were studied at room temperature to determine the Raman active modes. The most intensive line (A1 modes) at 178 cm-1 and 185 cm-1 were observed for CIS and CGS thin films annealed at 400 oC, respectively. This is the most active mode detected in the Raman spectra of this type of chalcopyrite structures. For as-grown and annealed CGS thin films at 350 oC , the line 486 cm-1 was observed however intensity of this line decreased with increasing annealing temperature and totally disappeared after annealing at 400 oC. Optic transmission measurements showed that the deposited CIS and CGS thin films have optic band gap values for as grown and annealed (at 400 oC) samples changing from 1.28 eV to 1.45 eV and from 1.68 eV to 1.75 eV respectively. The room temperature electrical conductivities of the samples were measured as 8.6x10-3 and 13.6x10-2 (Ω.cm)-1 for n-type CIS thin film samples; 1.6 and 1.9 (Ω.cm)-1 for p-type CGS thin film samples before and after annealing at 400 oC, respectively. Cu(In1-xGax)Se2 (CIGS) yarıiletken ince filmlerin iki kenar noktası olan x=0 (CuInSe2) ve x=1 (CuGaSe2) ince filmleri, Cu, InSe ve GaSe hedeflerden saçtırma yöntemi ile 250 oC sıcaklıkta soda lime cam alttaşlar üzerine kaplandı. In ve Ga oranı ve üretim sonrası ısıl işlemin CuInSe2 (CIS) ve CuGaSe2 (CGS) ince filmlerin özellikleri üzerine etkileri araştırıldı. Üretilmiş filmlerin yapısal özelliklerini incelemek için X-ışını kırınımı (XRD) ve örneklerin bileşenleri enerji dağılımlı X-ışını kırınımı analizi (EDXA) yöntemi kullanılarak analiz edildi. İnce film örneklerinin Raman aktif modlarının tayini için oda sıcaklığında Raman spektroskopi ölçümleri yapıldı. 400 oC sıcaklıkta ısıl işlem uygulanmış CIS ve CGS ince film örneklerinin en aktif modları (A1 modu) en yoğun çizgilerin sırayla 178 cm-1 ve 185 cm-1 olduğu gözlendi. Bu mod kalkopirit yapıların Raman spektroskopisinde gözlemlenen en güçlü moddur. Isıl işlem uygulanmamış ve 350 oC’ta ısıl işlem uygulanmış CGS örneklerinde 486 cm-1 çizgisi gözlenmiş olmasına rağmen bu çizginin yoğunluğu artan ısıl işlem sıcaklığı ile ters orantılı olarak azaldığı ve 400 oC uygulanan ısıl işlem sonrası tamamen yok olduğu gözlenmiştir. Üretilen CIS ve CGS ince filmlerin optik geçirgenlik ölçümleri sonucunda ısıl işlem uygulanmayan filmler ve at 400 oC sıcaklıkta ısıl işlem uygulanan filmler için optik bant aralıklarındaki değişim değerleri CIS için 1.28 eV ile 1.45 eV, CGS için 1.68 eV ile 1.75 eV aralıklarında değiştiği hesaplandı. Numunelerin oda sıcaklığındaki elektriksel iletkenlikleri ısıl işlem öncesi ve 400 oC ısıl işlem sonrasında n-CIS için sırayla 8.6x10-3 ve 13.6x10-2 (Ω.cm)-1, p-CGS için sırayla 1.6 and 1.9 (Ω.cm)-1 olarak ölçüldü. Abrahams, S.C. & Bernstein, J.L., 1974. Piezoelectric nonlinear optic CuGaSe2 and CdGeAs2: Crystal structure, chalcopyrite microhardness, and sublattice distortion. The Journal of Chemical Physics, 61(3), pp.1140–1146. Ahmed, E. et al., 1998. Significance of substrate temperature on the properties of flash evaporated CuIn0.75Ga0.25Se2 thin films. Thin Solid Films, 335(1–2), pp.54–58. Albin, D. et al., 1988. Composition‐structure relationships for multisource evaporated CuGaSe2 thin films. Journal of Applied Physics, 64(10), pp.4903–4908. Basol, B.M. et al., 2000. Studies on sulfur diffusion into Cu(In,Ga)Se2 thin films. Progress in Photovoltaics, 8(2), pp.227–235. Bhattacharya, R.N. et al., 1999. Thin-film Culn1-xGaxSe2 photovoltaic cells from solution-based precursor layers. Applied Physics Letters, 75(10), pp.1431–1433. De Blasi, C. et al., 1989. Optical absorption and structure of thermally annealed gallium selenide thin films. Journal of Applied Physics, 65(3), pp.1164–1167. Botha, J.R., Branch, M.S. & Weber, J., 2003. Steady state and time-resolved photoluminescence characterisation of copper gallium disulphide. Thin Solid Films, 431–432(03), pp.210–213. Caballero, R. & Guillen, C., 2003. Optical and electrical properties of CuIn1-xGaxSe2 thin films obtained by selenization of sequentially evaporated metallic layers. Thin Solid Films, 431(03), pp.200–204. Chaure, N.B. et al., 2005. Electrodeposition of p+, p, i, n and n+-type copper indium gallium diselenide for development of multilayer thin film solar cells. Thin Solid Films, 472(1–2), pp.212–216. Chichibu, S. et al., 1998. Band gap energies of bulk, thin-film, and epitaxial layers of CuInSe2 and CuGaSe2 band gap energies of bulk, thin-film, and epitaxial layers of. Journal of Applied Physics, 83(7), p.3678. Chichibu, S.F. et al., 2004. Greenish-white electroluminescence from p-type CuGaS2 heterojunction diodes using n-type ZnO as an electron injector. Applied Physics Letters, 85(19), p.4403. Choi, I.H., 2011. Raman spectroscopy of CuIn1-xGaxSe2 for in-situ monitoring of the composition ratio. Thin Solid Films, 519, pp.4390–4393. F. Smaïli, Kanzari, M. & Rezig, B., 2008. Characterization of CuIn1 - xAlxS2 thin films prepared by thermal evaporation. Materials Science and Engineering C, 28(5–6), pp.954–958. Fan, J.C.C., Tsaur, B.Y. & Palm, B.J., 1982. Optimal design of high-efficiency tandem cells. In 16th Photovoltaic Specialists Conference, San Diego, CA (IEEE, New York). pp. 692–701. Fearheiley, M.L. et al., 1985. The lattice constants of CuInSe2. Journal of Electronic Materials, 14(6), pp.677–678. Gillespie, T.J., Miles, A. & del Cueto, J.A., 1997. Reactive magnetron sputtering of transparent and conductive zinc oxide films deposited at high rates onto CIS/CIGS photovoltaic devices. In 26th PVSC, Anaheim, CA. pp. 3–6. Jaffe, J. & Zunger, A., 1983. Electronic structure of the ternary chalcopyrite semiconductors CuAlS2, CuGaS2, CuInS2, CuAlSe2, CuGaSe2, and CuInSe2. Physical Review B, 28(10), pp.5822–5847. Julien, C., Benramdane, N. & Guesdon, J.P., 1990. Transformation steps of structure in flash-deposited films of a-InSe. Semiconductor Science and Technology, 5, pp.905–910. Kazmerski, L.L. et al., 1983. Optical properties and grain boundary effects in CuInSe2 Optical properties and grain boundary effects in CulnSe2. Journal of Vacuum Science & Technology A, 1(2), p.395. Klenk, M. et al., 2002. Preparation of device quality chalcopyrite thin films by thermal evaporation of compound materials. Semiconductor Science and Technology, 17(5), pp.435–439. Kushiya, K. et al., 1995. Development of High-Efficiency CuInxGa1-xSe2 Thin-Film Solar Cells by Selenization with Elemental Se Vapor in Vacuum. ”. Jpn. J. Appl. Phys. Vol. 34, pp. 54-60, 1995, 34, pp.54–60. Langford, J.I. & Wilson, A.J.C., 1978. Scherrer after sixty years: A survey and some new results in the determination of crystallite size. Journal of Applied Crystallography, 11(2), pp.102–113. Levoska, J. et al., 1994. Pulsed laser ablation deposition of CuInSe2 and CuIn1- xGaxSe2 thin films. Physica Scripta, T54, pp.244–247. Li, Z.H., Cho, E.S. & Kwon, S.J., 2011. Properties of the Cu(In,Ga)Se2 absorbers deposited by electron-beam evaporation method for solar cells. Current Applied Physics, 11(1), pp.28–33. Matsubara, K. et al., 2003. ZnO transparent conducting films deposited by pulsed laser deposition for solar cell applications. Thin Solid Films, 431–432(03), pp.369–372. Mott, N.F. & Davis, E.A., 1971. Electronic Processes in Non-Crystalline Materials, Oxford University Press, London. Neumann, H. et al., 1978. Electrical properties of n-type CuInSe2 single crystals. Solid State Communications, 25, pp.899–902. Niemi, E. et al., 1996. Small- and large-area CIGS modules by co-evaporation. In Conference Record of the Twenty Fifth IEEE Photovoltaic Specialists Conference - 1996, pp. 801–804. Pankove, J.I., 1971. 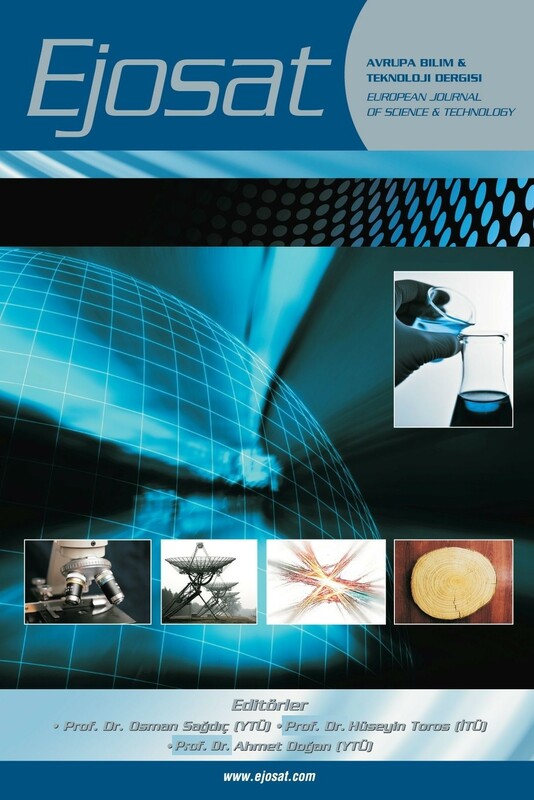 Optical Processes in Semiconductors, Dover Publications Inc.,New York. Ramanathan, K. et al., 2005. Properties of high-efficiency CuInGaSe2 thin film solar cells. Thin Solid Films, 480–481, pp.499–502. Rincón, C. & Ramírez, F.J., 1992. Lattice vibrations of CuInSe2 and CuGaSe2 by Raman microspectrometry. Journal of Applied Physics, 72(9), pp.4321–4324. Roy, S. et al., 2002. Characterization of Cu (In, Ga)Se2 films by Raman scattering. Materials Chemistry and Physics, 73, pp.24–30. Satoshi Yoshida, 2017. Solar Frontier Achieves World Record Thin-Film Solar Cell Efficiency of 22.9%. Online, pp.2–3. Available at: http://www.solar-frontier.com/eng/news/2015/C051171.html. Shay, J.L. & Wernick, J.H., 1975. Ternary chalcopyrite semiconductors, Pergamon, Oxford. Steichen, M., Thomassey, M. & Dale, P.J., 2011. Controlled electrodeposition of Cu – Ga from a deep eutectic solvent for low cost fabrication of CuGaSe2 thin film solar cells. Phys. Chem. Chem. Phys, 13, pp.4292–4302. Tanino, H. et al., 1992. Raman spectra of CuInSe2. Physical Review B, 45(23), pp.13323–13330. Thomas, B. & Kutty, T.R.N., 1990. Formation of Single-Phase Indium Selenide Thin Films by Elemental Evaporation. Physica Status Solidi (a), 119(1), pp.127–138. Touc, J., 1974. Amorphous and Liquid Semiconductors, Springer, New York. Venkatachalam, M. et al., 2008. Effect of annealing on the structural properties of electron beam deposited CIGS thin films. Thin Solid Films, 516(20), pp.6848–6852. Zhang, S.B. et al., 1998. Defect physics of the CuInSe2 chalcopyrite semiconductor. Physical Review B, 57(16), pp.9642–9656.